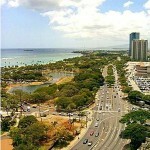 Honolulu Homes for Sale - Real Estate in Honolulu | Locations LLC. For those seeking to live at the center of it all, downtown Honolulu is certainly the right choice to experience the heart of the Hawaii’s largest city. Downtown Honolulu is the historic, economic, and governmental center of the island of Oahu, bounded by Nuʻuanu Stream to the west, Ward Avenue to the east, Vineyard Boulevard to the north, and Honolulu Harbor to the south. There is a mix of modern and historic buildings and complexes within downtown Honolulu. The neighborhood can be subdivided into four areas: the Capitol District, the Central Business District, Chinatown, and the Waterfront. Each area has its own unique characteristics. The Capitol District is home to most of the federal, state and city governmental buildings, including the Hawaii State Capitol building, ‘Iolani Palace, and Honolulu Hale (City Hall). While is there a dearth of residential living space here, the Capitol District is an important civic center for everyone on the island. The Central Business District is the location of business offices and skyscrapers, where most residents work. There is a smattering of condominiums in this district, and residents who work in downtown Honolulu absolutely love the convenience of a five-minute commute. Chinatown is the focal point of Chinese culture. However, Chinatown is not just limited to Chinese businesses; the district is known for its appeal to the young, professional crowd. There are boutique shops, a wide-range of restaurants, and hip art galleries. Chinatown also has the most lively nightlife of the island, with many bars, nightclubs, and entertainment venues located here. For spectacular views, downtown Honolulu’s waterfront area consists of the Aloha Tower, Honolulu Harbor, and Restaurant Row. Most of the condominiums up for grabs are naturally located here, where the waterfront location affords magnificent views to residents. This is a great place to look for a home. While single-family homes are few and far between (some would say non-existent) in downtown Honolulu, the area is awash with apartment buildings and condominiums ranging from low-cost to high-luxe. A budget-conscious buyer can buy a one-bedroom, one-bathroom condominium for as little as $100,000, depending on the square footage of the apartment. High-end buyers can score a penthouse condominium in a relatively new building for as little as $700,000, again, depending on the square footage preferred. If you are seeking a lively atmosphere with plenty of restaurants and shopping options as well as a fast commute, living in downtown Honolulu is a fabulous choice. 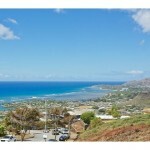 We offers fine homes, condominiums as well as access to the Hawaii MLS.